What are some drills or feels that have helped you tame an over active right hip? My tendency is to turn my right hip out. I don't keep my right hip back while clearing the left. So I run out of room and flip. I think Monte's drop the basket drill can help with this. Also, Dan has said to just feel the right hip stay back....make since but hasn't worked for me. Who has had some success and what worked? I'm not sure if it will help, but it's worth a try. I focused on keeping my right knee bent throughout the back swing. It really stopped excess movement for me. be careful with this can limit hip turn - the trail knee does straighten some in the backswing - some not a lot. Should rephrase, it defiantly does straighten but do not let it lock out. 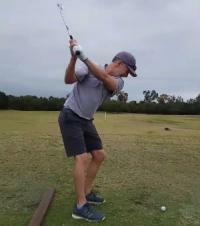 I had the issue of getting too much hip turn causing the club to go past parallel, early extend, and spin out. Yeah I don't really have issues on the backswing just the downswing. The right hip and knee kick out and get in the way. Think about clearing your left side instead of rotating the right side. Try resistance band just above the knees. Downswing issues can be created by backswing issues. 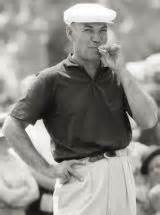 I know from experience, I was constantly trying to keep my spine angle on the downswing. Got a lesson from a well known instructor, he fixed my back swing and length of my swing and everything else fell in place. Too many people try to fix the downswing when in reality it's something in the backswing that is creating the flaw in the downswing. Move right hip away from the golf ball to start to downswing. It’s a conceptual thing. I found I had to wrap my head around it before my brain would let me do it. Then again, I’m pretty much a head case! I second this suggestion. Something I worked on quite a bit to train this was to feel as though my hips we're continuing to open in transition. So... You know that feeling of extension you get in your right hip at the top of the swing? When you transition, feel it even more. Ok I like this one. Had not thought of that. Will definitely give this one a go. Seems like it would help with regaining flex in the transition/downswing too. If the left hip moves back and then backwards in the DS how can the right hip not move out? It moves out in relation to center of pelvis, but avoiding center of pelvis out is the key.